A Look at Warren Smith’s Updated Book, “False Christ Coming: Does Anybody Care? Marianne Williamson, author of A Return to Love* and Healing the Soul of America was a somewhat obscure writer until Oprah Winfrey had her on her show, propelling her status into national acclaim and credited her as a spiritual authority, recognized by the major media (particularly after 9-11) and religious institutions; indeed “a key ambassador for the New Age/New Gospel/New Spirituality Christ”. Her books have gone global now, as millions are flocking to her banner of the New Age Gospel – a ‘return to love’. These same readers enthusiastically endorse Shucman’s book, A Course in Miracles, which is what A Return to Love magnifies as ‘gospel truth’. * For an explanation of this book by Williamson herself, watch this (part one of five) Return to Love. The distinction between Williamson’s two books, according to Warren Smith, is that Healing the Soul of America has brought her New Age message into the political arena (something that Neale Donald Walsch’s ‘Christ’ says must happen as a matter of course) and has effectively promoted her (and Walsch’s) organization, The Global Renaissance Alliance, today known as the Peace Alliance. This organization is energetically engaged in becoming a Cabinet level organization in the Federal Government as the Department of Peace. “A citizen based network of spiritual activists [whose] mission is to make a stand in our local and national communities for the role of spiritual principle in solving the problems of the world.” This ‘spiritual principle’ is the New Age ideology that we are really all one because we are a “part of God”. Their desire is to “re-invent the traditional Gospel as well as the Person of Jesus Christ, and there is no tolerance whatsoever for those who would proclaim that the Bible is exclusively true just as Jesus Himself is the Truth (the Way and the Life). Among many Emergent Church authors and those friendly to Emergence (if there are any who are still unfamiliar with this term and its accompanying movement, simply type “emergent church” in the TTUF browser to access various articles on it), such books as Re-imaging Christianity, Re-thinking Christianity and many related titles are all calling for a change in Christianity that includes how the church functions, and why, our doctrinal beliefs, as well as a changed perspective on who Jesus really is and what His mission was really all about. McLaren equates repenting with re-thinking, and re-thinking everything in the church and our perspectives towards the world in every facet – from the environment, to money, to people of different political [no doubt religious as well] views and beliefs, etc. He rightly affirms that “to repent” is to “think differently, to change, etc” but he relates this to all sorts of secular and earthly issues. However repentance is not to be equated with merely “re-thinking” things in general, it’s quite specifically focused on the central issue of our sinful hearts and the willful sinning against God and how we need to turn (repent) from such a life, and believe the Gospel of the Kingdom (which is His, and something we are not going to build in this present world system; we are invited to be born into and become citizens of the kingdom which is to come when the King Himself arrives, via the Gospel of salvation). The Peace Alliance desires to set itself apart from the usual politics of our day, but for all its talk of being different and ‘re-thinking’, it still follows the political practice of obfuscation and ‘double-speak’ that is so prevalent today, particularly noticeable in our own American government. Seldom does one ever hear the blatant agenda that they have planned to hijack biblical Christianity for the cause of their own Christ. “Beyond the appearances of history, there is a great and glorious unfolding plan for the destiny of nations. According to the mystical traditions [the occult], God carries this plan within His mind, seeking always, in every way, channels for its furtherance. His plan for the evolution of humanity and the preparation of teachers to guide it, is called within the esoteric traditions [again, the occult] the Great Work.” Taken from Healing the Soul of America: Reclaiming Our Voices as Spiritual Citizens (NY, Simon & Schuster, 1997, 2000), p. 195. 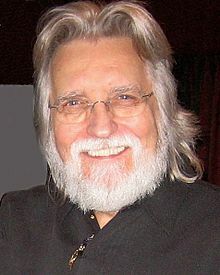 The fact that others are in total accord with Williamson’s (borrowed) vision within and without the Peace Alliance, notably her most stalwart allies like Hubbard, Walsch, and others (these consistently endorse and review each other’s books), shows that the networking of this organization is on a global level. Times, they said have changed and so then must we; survival of our species depends on thinking differently about our world’s future, and a new way and a new standard for the peace that we need. As mentioned before, Williamson and those of the Peace Alliance believe that peace is only possible “through atonement” or ‘at-one-ment’, that is, recognizing that we are all one, and that we are one with God, essentially being a part of God and thereby God ourselves. Zukav elaborates his views by stating that we must relieve ourselves of fear, and of separation, two primary words that he warns us against, and admonishes that we change ourselves by replacing fear with peace, and separation with love. Good sounding words, but these are New Age versions that insist that both peace and love are only attainable by a belief that we are one and one with God; those who reject such a belief are motivated by fear, separation, darkness and hatred. Such New Ager Spiritualists seem insistent that any who would disagree and reject their notions, must be operating from such motives as listed above. They overlook the idea that we as Christians reject their notions because they are false, because they are not in accord with truth; they presume that they alone are the discoverers and wielders of truth, but we know that the Truth is a Person, Jesus Christ, the Word Incarnate, and that He is the inspirer of the Inspired Word, the Holy Scriptures. The Bible flatly denies pantheism and monism, two beliefs prominently displayed by these New Age spiritualists; we are not afraid of New Age beliefs, nor do we hate those who hold them, nor are we walking in darkness; but we are indeed separate from them, for we are not of the world as they are of the world (See: JOHN 15:18-25; 17:6, 9-10, 14-16; and 2 COR 6: 14-18). ANOTHER PEACE ALLIANCE ON STEROIDS! Along with this Peace Alliance, there is a global counterpart known as The Alliance of Civilization, which calls for an Earth Charter for a United Earth and, like the United Nations holds dear the Great Invocation (Universal) prayer, something itself that was inspired by Alice Bailey. “One prominent Earth Charter proponent, Maurice Strong, was quoted saying that the Earth Charter would become as important as the Ten Commandments. Conflicting histories have been given and it appears that it was in progress, per Maurice Strong, much earlier than the 1987 Brundtland Commission. And the Great Invocation, like Williamson’s books, speaks a great deal about ‘love’ and yet judging from the materials of Williamson and her colleagues, one must wonder what sort of ‘love’ are they talking about? And their version of ‘the Light’- what does this really refer to? For an excellent expose on the glossary of terms used in this mystic/occult prayer, read the following research; once you click on the link directly below, scroll down to the Contents and click on chapter Nine. I would highly recommend you read the entire article however as it’s very good in explaining much about Bailey and her intentions and plan. Whether on a national basis, or a global one, the misnomer of peace, love and oneness is acquired by a belief in humanity as being a part of God will not create any genuine peace and love, much less oneness. Certainly this will incite the false peace that the Scriptures speak about, a spiritual delusion led by the anti-Christ, inspired by the very spirit of Satan himself, but peace can only be experienced in its genuine form by acquiring peace with God through His grace bestowed and our LORD Jesus Christ and His shed blood at Calvary. See ROM 5:1; 3:25. The love of God is likewise experienced by the reception of Jesus the Messiah of Israel, not some universal new age Christ that seeks the ‘salvation’ of mankind without the shedding of blood (HEB 9:22). See JOHN 14:20-22. 8 “But God commendeth his love toward us, in that, while we were yet sinners, Christ died for us. 9 “Much more then, being now justified by his blood, we shall be saved from wrath through him. 10 “For if, when we were enemies, we were reconciled to God by the death of his Son, much more, being reconciled, we shall be saved by his life. 16 “What? know ye not that he which is joined to an harlot is one body? for two, saith he, shall be one flesh. Wayne Dyer, New Age spiritualist made a PBS special, post-September 11th in which he echoed his fellows: “. . . man’s problems arise from his belief that he is separate from the divine.” That we “are one with creation – that [we] are in fact, divine.” He insisted that the only problem is the mistaken belief that [we] are separate from [our] Source; he then quotes Shucman’s book, A Course in Miracles fluently to support this claim. Such spiritual propaganda that extols this New Age ‘re-thinking’ which has permeated our society will make the political endorsement and ratification of a Department of Peace not only plausible, but likely; so the campaign for this would-be government sponsored, cabinet level organization pushes forward like a run away freight train filled with the cargo of mystical conviction. “For years now, I have watched as New Age proponents like Marianne Williamson, Neale Donald Walsch, Benjamin Crème, Gary Zukav. Wayne Dryer, Barbara Marx Hubbard, and others have introduced the ‘Christ’ of the New Age/New Gospel through their books and public appearances. But prior to September 11th, it was usually theoretical, and most of them seemed only loosely identified with one another. “After September 11th, everything moved into a much clearer prophetic perspective. It was extremely sobering to watch as these same individuals emerged on primetime television as part of a ‘global alliance’ that was introducing their New Age/New Gospel/New Spirituality as a means of achieving world peace. Warren Smith continues his book FALSE CHRIST COMING – Does Anybody Care? with the chapter 8, The Armageddon Alternative, and chapter, The New Age Doctrine of Separation; due to the length of this article, I will forego addressing these two chapters, and would encourage the reader to acquire a copy of this book for their own use. I would like to finish this article with chapter 10, the Silent Church, but before I do, let me first introduce a series (a total of 11 parts; please be patient as the video quality is not as good as one might wish) on the New Age Movement from the John Ankerberg Show when he had Dave Hunt and Johanna Michaelson on the program dealing with this movement. Be aware of the fact that this show originally aired in the mid 80s; that’s about thirty years ago, and will give you an idea on how to track the progress and advancement of this movement. Indeed, it has come a long way, and growing exponentially in attaining global recognition and empowerment. I believe that the mystical experiences attained in various forms of occult meditation techniques (yoga, transcendental meditation, etc.) will be the glue to cement this world religion together, these practices that are orchestrated by “seducing spirits” (1 TIM 4:1); one of these disciplines is known as contemplative prayer/meditation and is taking Christendom by storm. I am intrigued that these videos reveal the essentials of the New Age movement, the influences behind it, and that which it itself has influenced; what astounding is that for these few decades the church has been aware of this movement, has to some degree tracked its progress, and as well as this, some have witnessed its migration into the church via the Emergent Church Movement, and STILL for all of this, many pastors, teachers, leaders of the church have failed in their calling with respect to warning and protecting the LORD’s sheep from this seduction. This concludes this video presentation; we now resume with the last section of this article. “How can we explain the rapid rise of the New Age/New Gospel/New Spirituality movement with hardly a word of concern within the church about what’s been happening?” asks Warren Smith. 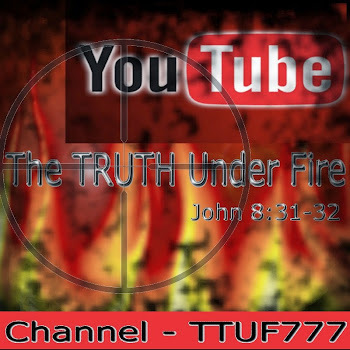 Since 9-11 the various leaders of the New Age have stepped up the pace in exposing their teachings to the general public in best selling books and televised programming, yet the church remains silent. Prior to the atrocities of the Holocaust, Hitler wrote extensively in his book Mein Kampf in describing his intentions for Germany and the Jews. Anyone who bothered to read his writings would know in advance his ‘game plan’; and while many did read Hitler’s book, very few, too few took his writings seriously. The LORD Jesus Himself never wrote a book, but those He inspired, and quotes from Him as recorded in the Gospels declare that a tremendous deception would come and characterize the scenario known as the last days, that being that a man would take center stage in the world in Hitleresque fashion, and that many so-called Christians would support him in his global government! Further he states that Christian leaders and their churches are beginning to sound and act more like their New Age adversaries, even going to far as becoming “recommended sources” endorsed by New Agers (like Barbara Marx Hubbard), and belonging to some of the same organizations (like the World Future Society). Mr. Fosdick is incorrect in his assertion that the blood atonement is merely a theological theory. When theologians make conjecture based on scriptural observation, that can certainly be considered theory and this would include musings and surmise on the part of such liberal theologians as Mr. Fosdick himself. Yet the blood atonement is a deeply biblical doctrine that is stated in repleted fashion throughout the Bible. 'Atonement' occurs 81 times in 70 distinct verses in the KJV. Greg Reid comments: “There are a growing number of Christians who are making frequent use of these terms without knowing where they come from or what they mean in the New Age or occult world. Even though some of these words have innocent usage in a Christian framework, most of them are in fact rooted in New Age and occult teachings, philosophies, and are in clear opposition to biblical truth. Warren Smith asks another vital question: “Are Christian leaders leading the church ever closer to the cross or ever closer o the ‘planetary Pentecost’? Why is there almost no call for spiritual discernment within the church (except to warn believers NOT to be deceived into doubting their appointed Christian leaders)? “Why us spiritual experience taking precedence over spiritual discernment? Why are there so few warnings about a counterfeit New Age/New Spirituality movement that maligns the person of Jesus Christ and threatens the lives of His followers? Why is this ‘new revelation’ in many ministries starting to supersede God’s written Word [such as the New Apostolic Reformation or N.A.R.]? Having considered the trends and movements of various churches, church ministries and para-church functions and organizations towards a more ‘Emergent-friendly’ and ‘socially relevant’ mind set, I don’t think this is a possibility as much as it is a probability; a likelihood that I believe will soon find its way into the very fabric of society. A society in which any church that doesn’t conform to the dictates and policies outlined by the soon-to-come Department of Peace will suffer consequences. Perhaps, initially some fines and then a revoking of a church’s tax exempt status, and eventually leading to the arrest of church pastors and leaders, and closing the doors of that church in violation to Federal law under the edicts of the Department of Peace. What sort of edicts, dictates and policies do I suspect will make biblical churches the targets for this New Age-driven Cabinet level body? Any church that would proclaim the Gospel as the only hope for mankind; that Jesus Christ is the only Way to God the Father; that the Bible itself is the exclusive source for spiritual truth and the very Word of God to the exclusion of all other religious books; the warnings of the last days, the Armageddon and end of the world scenarios, the Second Coming of Christ, any and all of these would prove a violation of this yet future organization, in my view. That same spirit will bring about and manifest “great signs and wonders” (MATT 24:24) and accompany the deceiver, this world leader who himself will be the fulcrum of this spiritual deception with the aid of these lying, seducing spirits and doctrines of demons. Smith says, “[Jesus] told us this was going to happen and that we had better be ready. But the Church today is not ready. Ignorant of our adversary’s schemes, we don’t contend for the faith because we don’t seem to realize that someone is trying to steal our faith away from us. Ignorant of our adversary’s schemes, we have become vulnerable to those schemes. "People calling themselves Christians expecting only revival and a Kingdom of God on earth may be shocked to suddenly find themselves in the middle of great delusion, facing the anti-Christ instead . . . [as] someone who came out of New Age teachings, I have been deeply saddened by the Church’s apathy about what is going on, Christian ‘leadership’ has largely ignored and discounted the prophetic significance of the New Age/New Spirituality deception that is so prevalent all around us. To speak of ‘revival’ and ‘blessings’ and ‘breakthroughs’ will not prepare believers for the persecution and tribulation that may soon take place. The phrase “hath no root in himself” is quite telling; Jesus Himself is referred to as the Root of David, and for these with “stony places” in their hearts, areas of hard heartedness, the LORD Jesus never takes His rightful place and established in such a person’s life. These half-committed, quasi-Christian kind of people will rejoice in the time of blessing and happiness, but when trials, tribulations or persecution assault them, they bail, confessing that they “didn’t sign up for this” and renounce any such commitment. 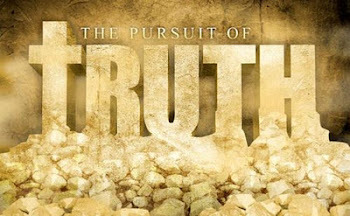 We are indeed living in perilous times, spiritually speaking because of the rampant deception that is insidiously creeping into every church and fellowship, and as a result of this deception, those who remain loyal to God’s Truth will be ostracized and persecuted in an even greater peril. We must remain vigilant, watchful, prayerful, studying the scripture and be ready to answer any and all the reason for the hope that is in us. Please keep your church leaders in prayer, that God would empower them by His grace and His Spirit to remain faithful to the Word, both in teaching and in practice and fulfill their roles as God’s shepherds over His flock, both in feeding of the Word and in warning the sheep of these perilous times.